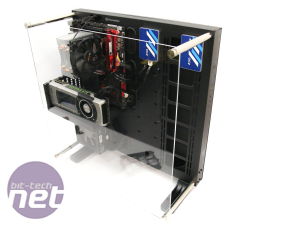 If you're wondering about our scores, as this is an open air case with little of any airflow design, testing it and applying a cooling score is rather pointless in the same way applying a cooling score to a test bench would be. Therefore, we've ditched the cooling score on this occasion and added ten points apiece to the features, design and value scores instead. We really weren't sure what to expect with the Core P5, but for a number of reasons we're actually quite fond of it. 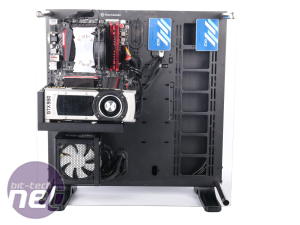 The build quality is excellent, if a little rough round the edges in places, but the sheer weight and solid feel of the chassis leaves you in no doubt that it's up to the task of housing a large, high-end water-cooled system. The size did mean we were taken aback - it is enormous and much deeper than we'd expected too. 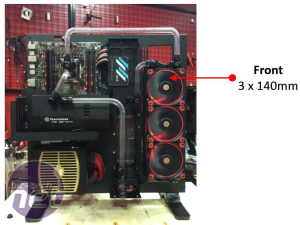 Could Thermaltake have made it smaller? 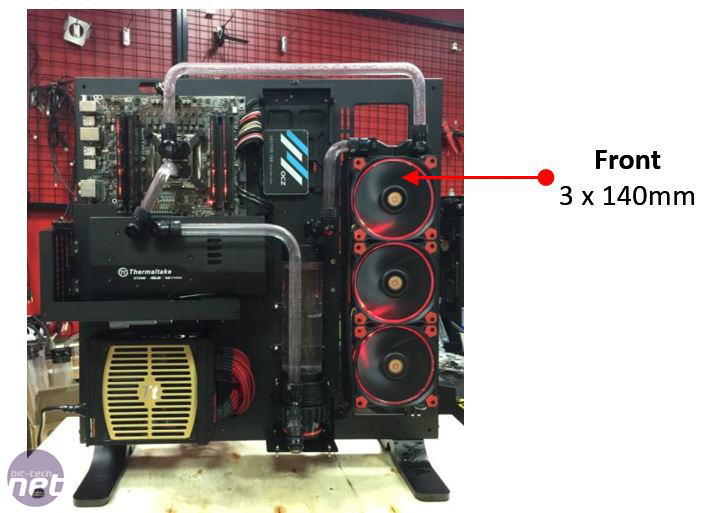 Yes, but at the expense of water-cooling support, which is generally excellent. 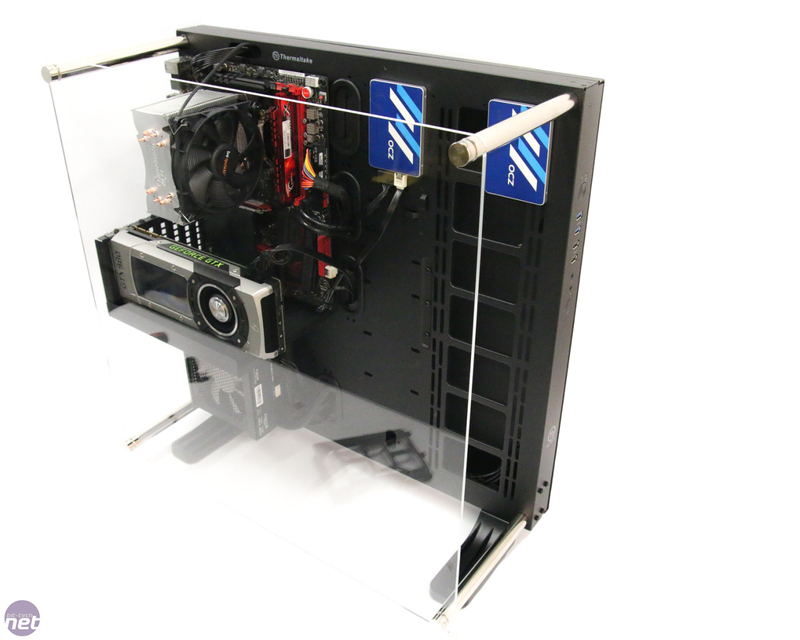 There's enough space for acrylic tubing to be bent around within the confines of the acrylic window, plus you can mount a monster radiator too. 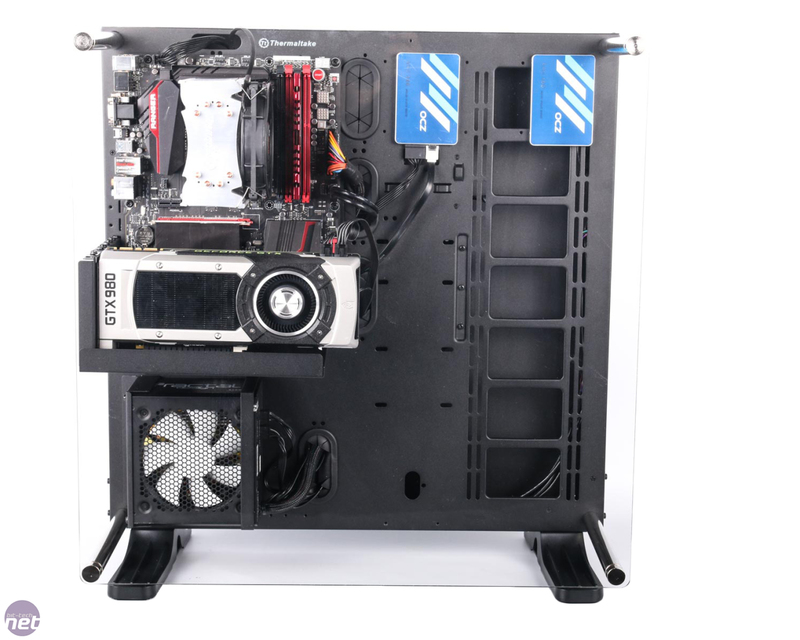 The large area for mounting pumps and reservoirs is the icing on the cake. 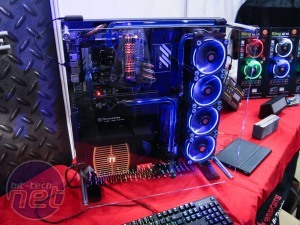 As we mentioned earlier, it would have been good to see some slightly more elaborate SSD mounts, especially on the front section - screwing them directly to the chassis does fit in with the minimalist design but it's a bit of a faff, especially as you need to remove the rear panel to get at the mounting screws. It could also be considered a security feature though. 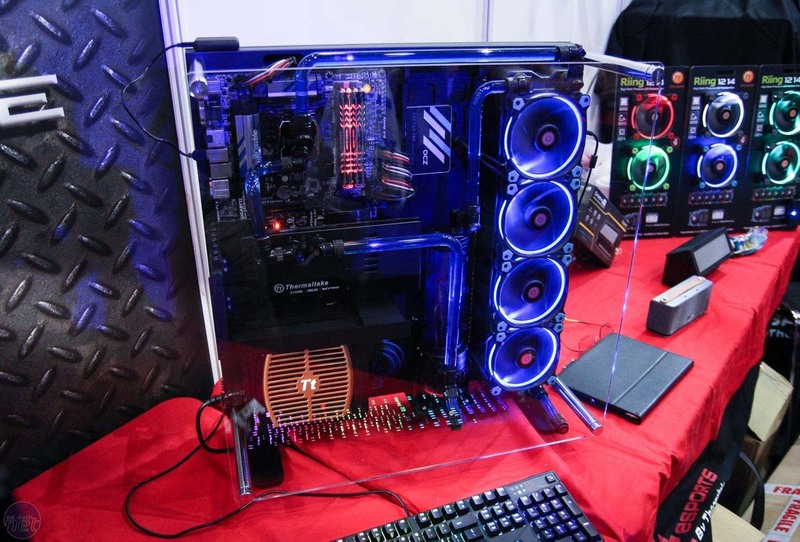 Kitted out with a water-cooling system and some fancy Mayhems coolant, there's no doubt it would draw sizeable crowds at LAN parties and if we're honest, we'd be very interested in smaller versions of the Core P5 for micro-ATX and mini-ITX systems too.